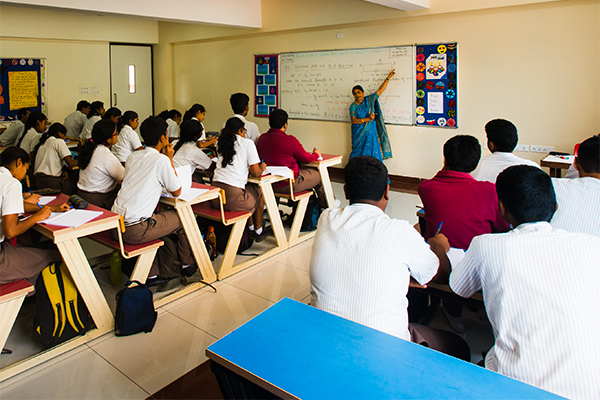 Each classroom houses a large area and is designed such that every student gets the teacher’s maximum individual attention. There are 50 classrooms for regular teaching and a number of other rooms like the Interactive board room and Resource room to make learning interesting and fascinating. Grades I-V are digital classrooms equipped with Smart Boards. 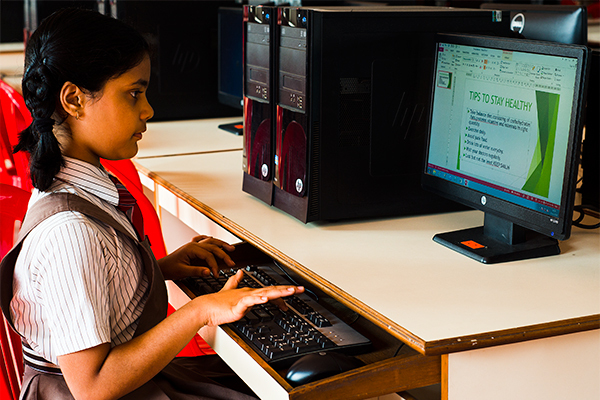 Computer education is an integral part of the curriculum at NPS Rajajinagar. The computer laboratory has over a 100 computers with a dedicated broadband Internet connection for students. Student usage of media and technology are monitored and supervised by teachers. Computer Science prescribed by the CBSE is offered as an optional subject to students at the Senior Secondary level. The interactive panel makes the classes visually stimulating and collaborative. It allows the integration of media content into the lecture. The audio visual facilities are used by the faculty and the students to make presentations. They ensure long-term retention of what is taught and encourage a research-oriented approach. The science laboratory provides a space for experiential and hands on learning for students. 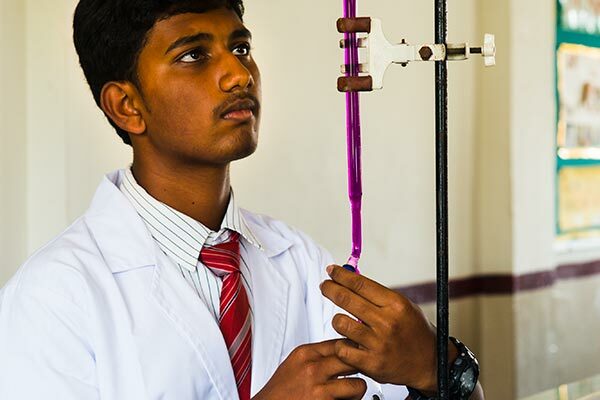 Under the professional guidance and assistance given by the science teachers, students are also encouraged to exhibit their innovative abilities by developing samples and models. There are separate workstations for Physics, Chemistry and Biology. State of the art equipment for Physics facilitates students to perform experiments and study various principles and laws. The wide range of chemicals and apparatus allows the students a hands-on experience in learning Chemistry. The Biology labs are equipped with endemic plant specimens, models, microscopes and slides for students to observe and study, widening their exposure to the subject. There is also a designated ‘Junior Laboratory’ for middle school students. The library is the main resource center for the students and faculty of the school. It houses a vast collection of over 30,000 textbooks, reference books, fictional and non-fictional books, periodicals, text books and audio-visual material. The library also subscribes to over 30 periodicals inclusive of 3 national daily newspapers, children’s magazines and academic journals. A fully equipped auditorium allows students to produce plays and performances with the best acoustics and light system. It has a seating capacity of 1000. The Math Lab provides students the opportunity to see theories come alive and have fun with numbers. It creates a challenging atmosphere for students to put their mathematical abilities to test and improve their analytical reasoning and lateral thinking through various games and activities. Syllabus based activities are conducted for Grades I to X to enhance their learning experience. 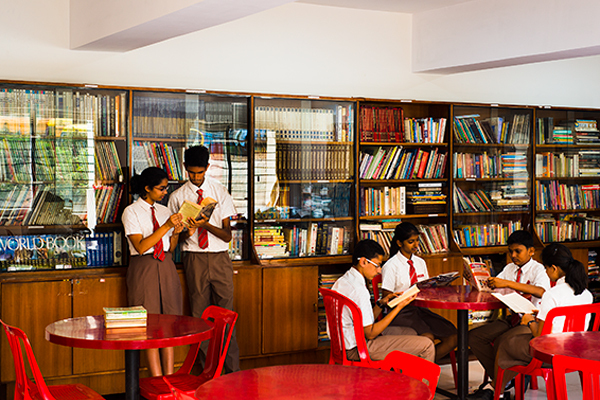 The spacious art room creates a soothing and informal ambience to help students unleash their creative streak. The Art room becomes a hub of innovative activity as students sketch, paint for competitions as well as make props and posters for events and fests. A space for students to practice their musical instruments in a serene atmosphere with informal seating. Replete with materials for activities that are an extension of lessons, students of primary classes engage in thought-provoking simple games in the Resource room. Models, picture cards and text cards open avenues for group discussion and extended learning. Yoga helps students improve concentration, increase immunity and overall wellbeing. A qualified yoga instructor teaches students of Grades I - XII the nuances of deep breathing, meditation and relevant asanas. The Health Care Room is equipped with basic medical equipment and medicines. Immediate attention is provided by a qualified nurse in case of minor ailments or injuries. Parents are immediately informed if the student is in need of medical care by a doctor. Students are at the centre of everything that we do in school. They are under supervision by teachers at all times on the campus as well as during educational trips, competitions and picnics. In order to maintain a safe and secure campus, only authorized personnel enter the premises. Cameras are installed at vantage points in and around the school. The buildings are also equipped with fire extinguishers in case of exigencies.